Challenger superannuation fund Tomorrow Super has appointed three executives to its newly created advisory board, including a former AMP director. Peter Nicholas, formerly of AMP; Andrew Murray, Alpin Advisory managing partner, and Ram Castillo, digital design lead at MercerBell and Saatchi & Saatchi are joining the board. “Andrew, Peter and Ram bring their extensive experience, network and knowledge in several fields and industries,” Wes Hall, Tomorrow Super’s CEO, said. “They will guide the development of our digital capability and reach, refine our product design, and assist with our capital raising activities. According to Mr Hall, the advisory board will work closely with Tomorrow Super’s executive team to establish the group as Australia’s most progressive super fund. “We’re pleased that all of the advisory board members are also becoming shareholders in the business,” he said. Mr Nicholas has had more than 30 years of experience in financial services and management experience. 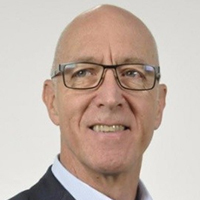 He was most recently CEO of UK-based pension engagement business AHC and previously held senior roles such as director of customer value and director of savings and retirement at AMP. Apart from his work at Alpin, Mr Murray is a non-executive director and founder of Impact Investment Partners and a regular lecturer at Australian and international business schools. He has worked for more than 15 years in management consulting, business development and strategic planning in industries including IT, banking and finance. Mr Castillo of MercerBell and Saatchi & Saatchi is also an author, podcast host and influencer. The fund is planning to close out its Series A capital raise of up to $5 million in April.